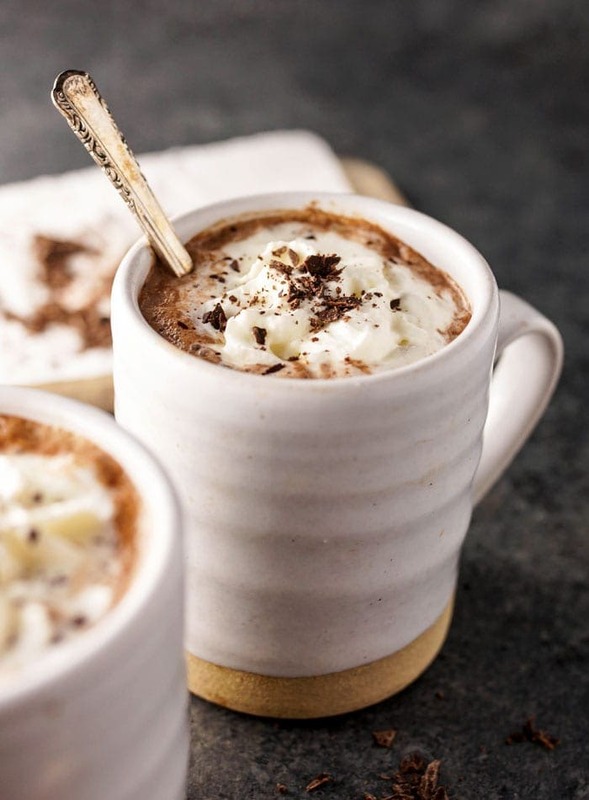 There is nothing like getting cosy on a fall evening curled up on the couch with warm fuzzy socks, a fleecy blanket, a chick flick and of course a cup of hot cocoa. 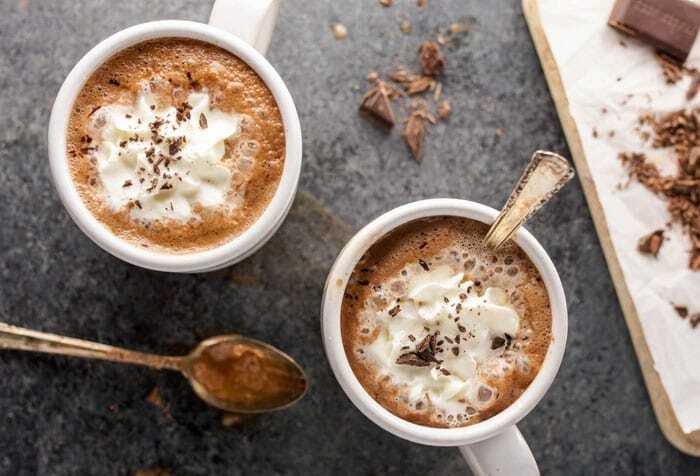 This luxuriously creamy and decadent hot chocolate is not only delicious, but also healthy. This will be your best friend from Fall to Winter. This dairy free and sugar free drink tantalizes the tastebuds and fulfills every chocolate craving. Combine all the ingredients into a saucepan over high heat, using a whisk to break up any clumps. Keep stirring until smooth, thick and piping hot. Then pour into a mug and serve warm. Top with dairy-free whipped cream and shaved chocolate.